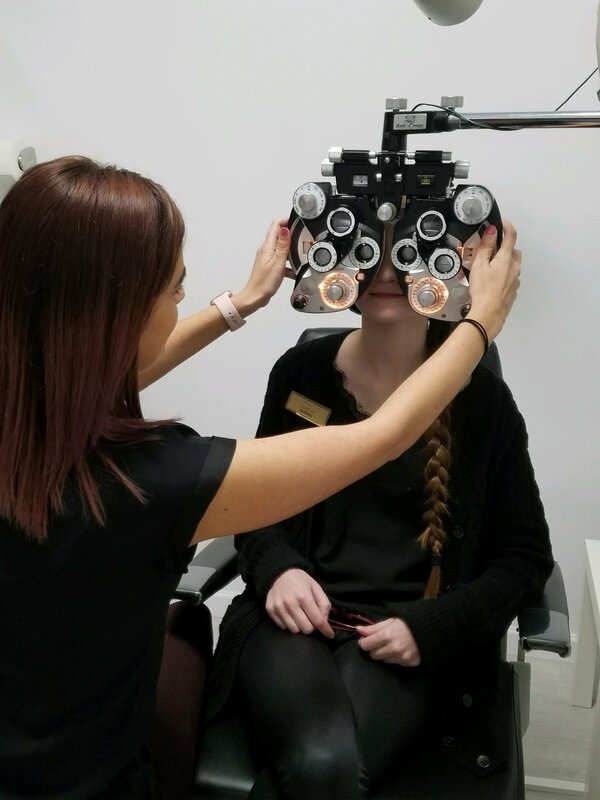 Vision Services with Your New Eye Doctor! We can custom make any contact lens design. Custom lenses are hand painted and can take anywhere from 1 week to 1 month to create. Our lenses have been used in many major films and television shows. Call us today to find out more information. We always recommend the best possibly lenses to our patients and provide quick and precise information so that you can make an informed decision before placing your order. No associates are ever paid any commissions, so you have no pressure to buy. Contacts are a great benefit to have in combination with a great pair of eyeglasses. Our specialists have decades of experiences teaching patients quick yet advanced techniques to insert and remove contact lenses. Not only have we had the opportunity to work with the wonderful community in the Atlanta area but we have had the pleasure to work with some of the largest celebrities in film and television. Our specialists are here to provide the best fitting eyewear designs that not only look good but function to your tailored lifestyle. We use precise measurements for pupillary distance and ocular centering to provide the best vision possible.